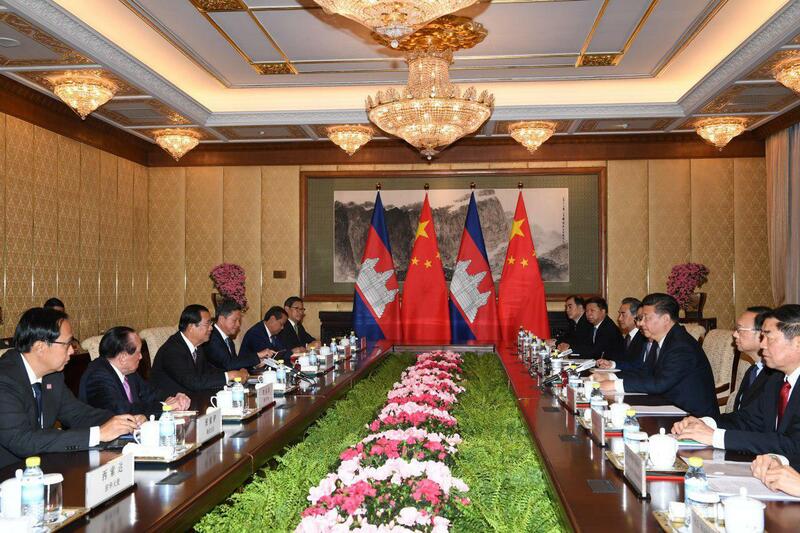 Beijing (FN), Jan. 21 - Chinese President Xi Jinping has expressed full support for the leadership of Samdech Techo Prime Minister Hun Sen and the Cambodian People's Party. 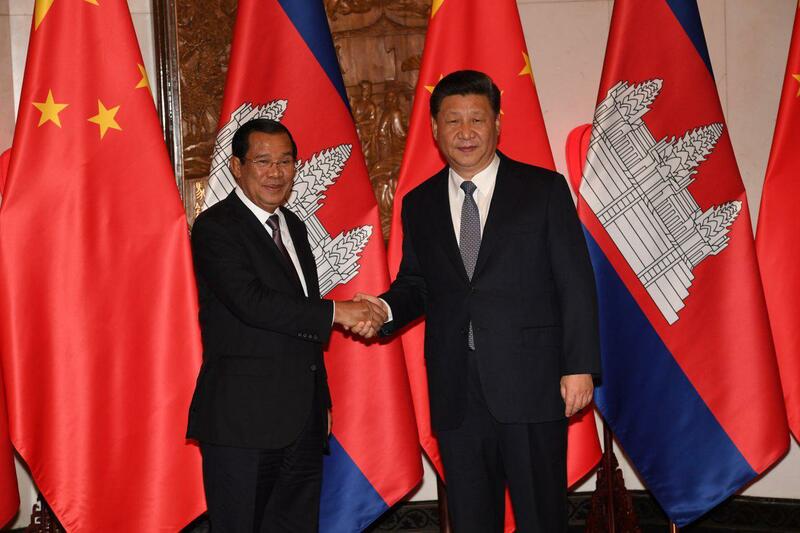 President Xi Jinping also expressed confidence that Cambodia will grow stronger in the next 60 years on behalf of China’s close friend, speaking in a meeting with Prime Minister Hun Sen during an official visit to Beijing on 21 January 2019. On the occasion of the 60th anniversary of Cambodia-China diplomacy, President Xi said that the official visit of Samdech Techo Hun Sen will further enhance the Sino-Khmer ties. The President also stressed that the belt and road initiative will continue to strengthen and expand cooperation among countries in the region and the world that would bring interests for all. As a good neighbor, China supports Samdech Techo and the Cambodian People's Party for winning the landslide victory of the general election in July 2018, President Xi highlighted. In response, Premier Hun Sen expresses his pleasure to be back in the official visit to China. He thanked the Chinese government and people for warmly welcoming the presence of the King and Queen Mother during His and Her Majesty’s visits for medical check up. In the meeting, Samdech Techo informed President Xi on the general situation in Cambodia, especially the post-election, along with reforms of the Royal Government and the Cambodia's measures to refrain from internal interferences. Samdech Techo also highlighted the establishment of the Supreme Council of Consultations where 19 parties joined. 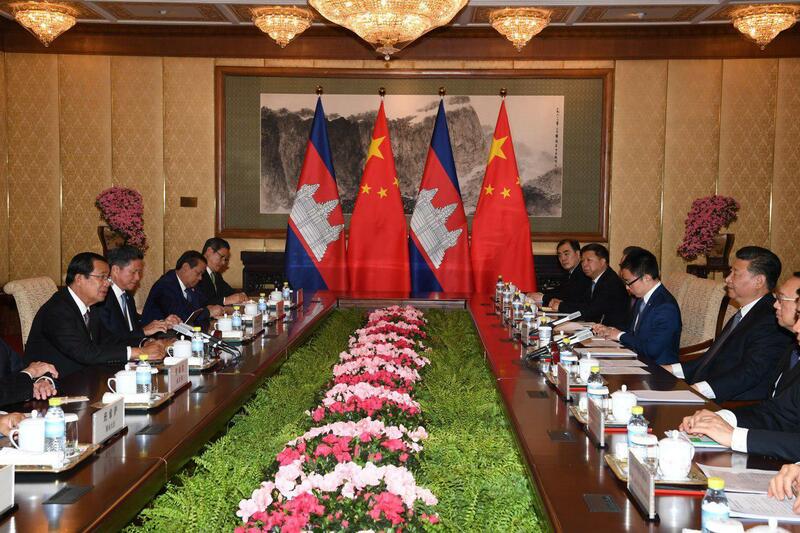 Premier Hun Sen requested the Chinese President to encourage more Chinese investors to come Cambodia, particularly build more factories; and wishes to see the traditional relations and comprehensive strategic partnership since 2010 grow stronger, particularly leading to the Cambodia-China free trade agreement. Samdech Techo said that 2019 is the year of cultural and tourism exchange. Both sides pledged to work together as a single community and cooperate in all fields including politics, security, economics, and people. President Xi also welcomed Samdech Techo to the second summit of belt and road in China in April.